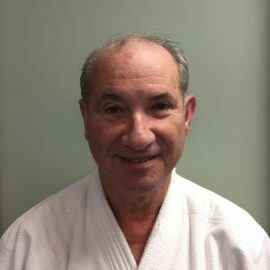 Donna Sensei starting training in 2002 and teaching in 2007. 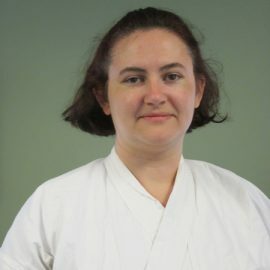 Donna is an experienced middle school teacher and very active in designing our youth specials class curricula. 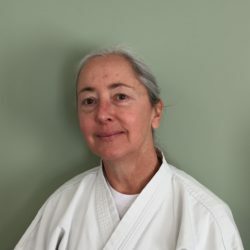 Donna was the first woman to earn a black belt at our dojo. 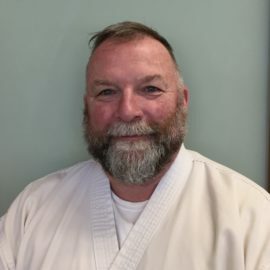 Donna was surrounded by Aikido before she ever began training and says she was able to witness firsthand how Aikido not only inspires people to live better lives but also strengthens community. 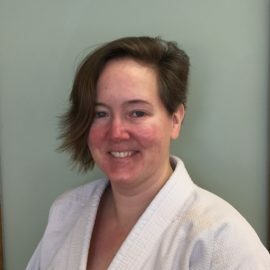 She says what she loves most about Aikido is that the community of Aikidoists (and especially those associated with AIF) spans the globe.